New Titanium Ram's Horns anchors are installed on all routes. They are quick, easy, and strong (30kN together). <br> <br> Please, as always, reduce wear and tear and top rope off of your personal gear. 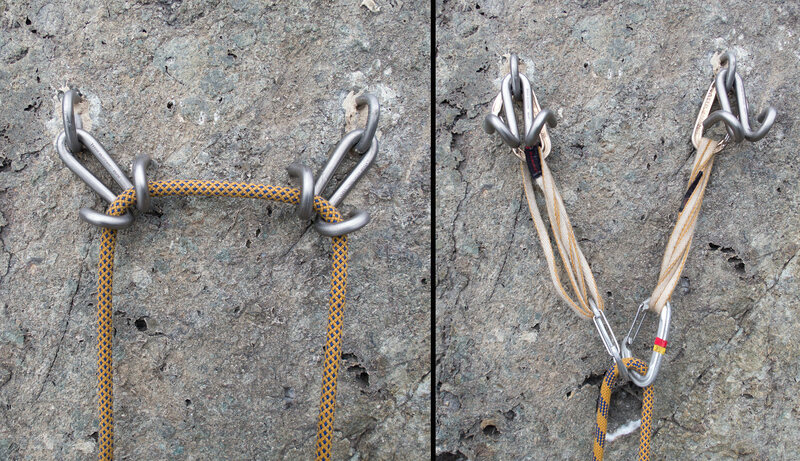 It is easy for the last person to loop some slack through both anchors, clean the draws, and lower, in under 30 seconds without ever going off belay. “New Titanium Ram's Horns anchors are installed on all routes. They are quick, easy, and strong (30kN together).